Robert Ward, Secretary-General, is the chief administrative officer of the International Hydrographic Organization (IHO) and heads the permanent secretariat. Hydro International asked him (and other leaders of organisations) 5 questions. The International Hydrographic Organization is the intergovernmental consultative and technical organisation that was established in 1921 to ensure that all the world's seas, oceans and navigable waters are surveyed and charted in support of the safety of navigation and the protection of the marine environment. The IHO headquarters are in Monaco. The development of the sciences in the field of hydrography and the techniques employed in descriptive oceanography. In 2017, there were 85 Member States of the Organization. The official representative of each Member Government within the IHO is normally the national Hydrographer or similar official with responsibility for the provision of nautical charting and associated hydrographic services at the national and international level. In addition, about 30 maritime-related international organisations representing industry and academia participate in the work of the IHO as accredited Observer organisations. Individual experts and companies can come forward to participate and contribute their knowledge and skills in the IHO working groups as expert contributors. What is the role of your organisation in the hydrographic/oceanographic industry? The IHO sets the international standards for the provision of hydrographic products and services. The IHO operates a Capacity Building programme that seeks to assist all coastal States in developing an appropriate national hydrographic capability to support their international obligation to provide nautical charting and associated services in the interests of safe navigation, protection of the marine environment and the proper and sustainable governance and development of the blue economy. 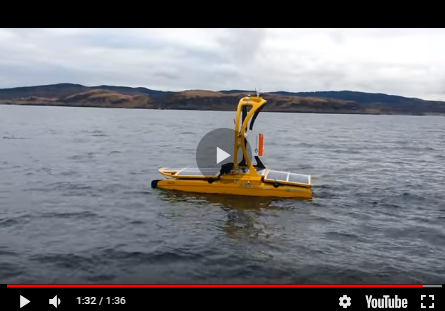 An increase in the use of autonomous data-gathering craft and crowdsourcing to gather fundamental hydrographic (bathymetric) data will help to address the current shortfall in bathymetric knowledge of many parts of the world’s seas, oceans and coastal waters. This, together with risk-based assessment will allow the limited specialist hydrographic capabilities that are available to be better targeted to the identified priority areas.